Sometimes I just can't stop staring... I blame you, KBShimmer. Greetings polish nerds! 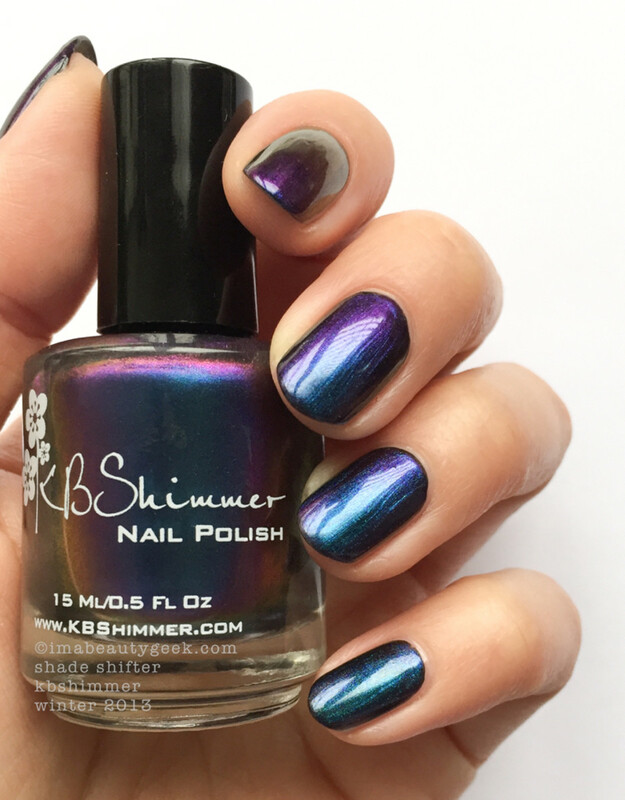 Today I’m playing with the Winter 2013 KBShimmer Shade Shifter. Why now? 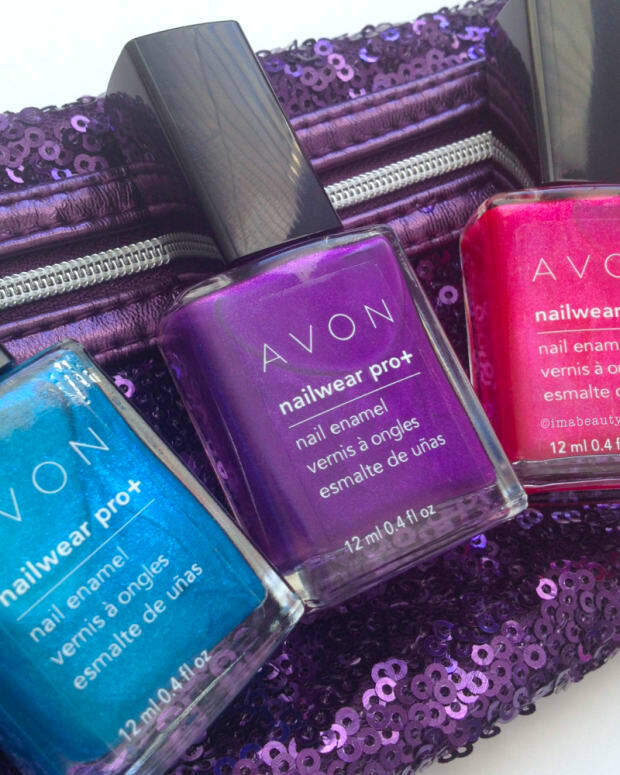 Because, thanks to my Nail Polish Fairy, I just got it! 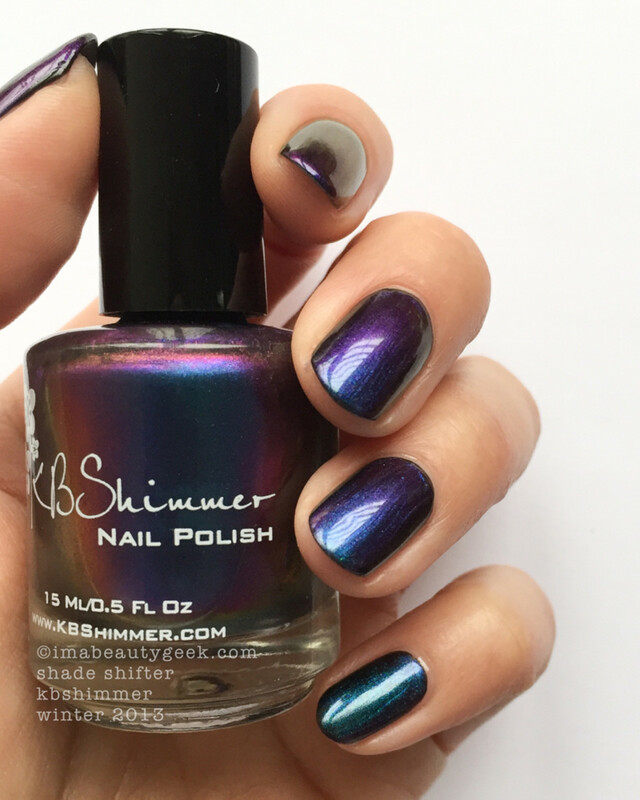 KBShimmer Shade Shifter over Revlon Black Magic (above). 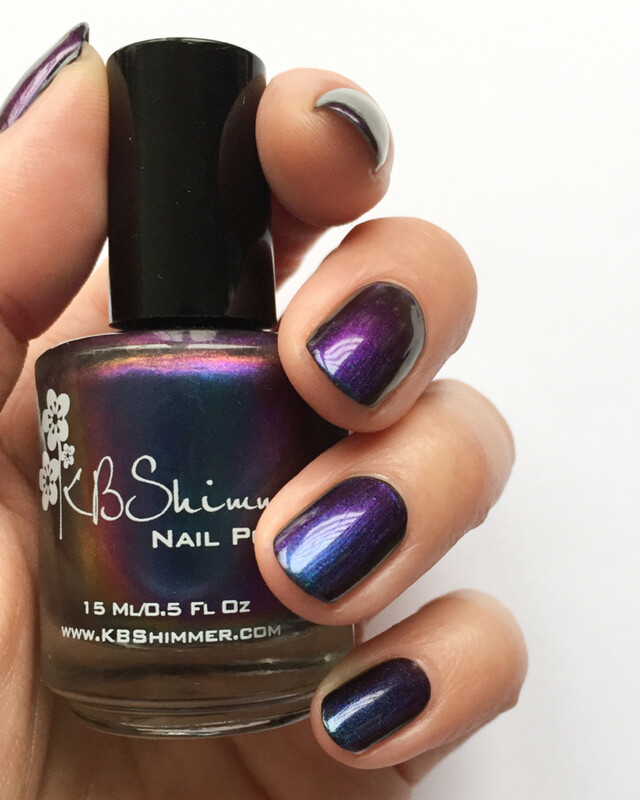 I’ve slapped a single coat of this multichrome Shade Shifter over my favourite OCW! (one coat wonder) Revlon Black Magic. I haven’t even used a top coat and the result is smashing. With a total of 2 coats of polish, it&apos;s stupendously shifty to all the colours you see in the bottle. You get the blue, the royal purple, the red, the copper, the black… all of it. Without undies, you can&apos;t make this happen. 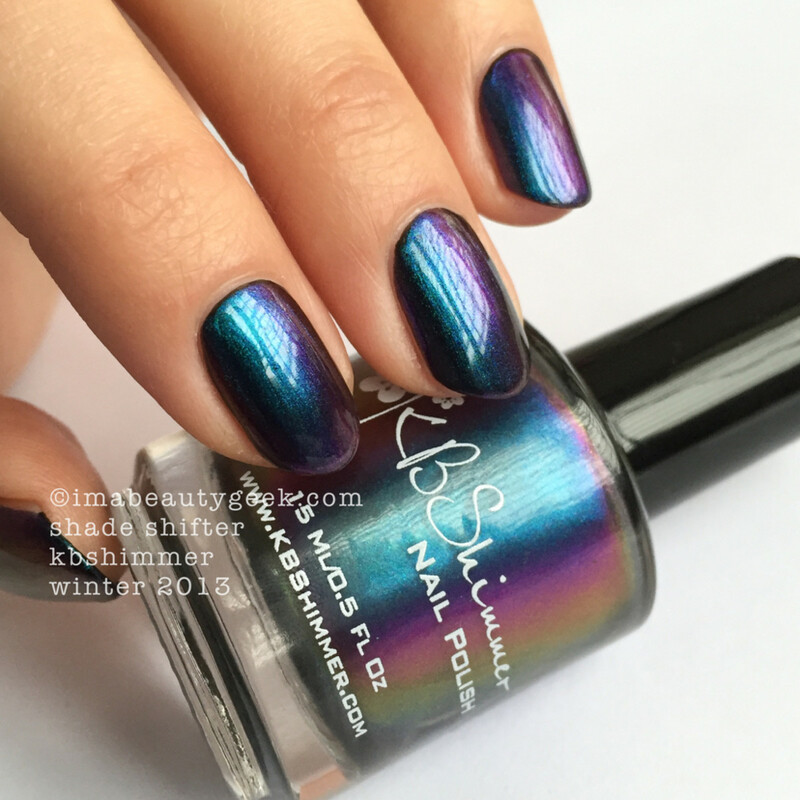 You just can&apos;t.
KBShimmer Shade Shifter over Revlon Black Magic (above). This is the very first time I’ve ever used a KBShimmer nail polish and so far, I’m thoroughly impressed. I think there might be more in my future. I&apos;ll check in with my Magic 8 Ball and see what he says. Availability: Were you under a rock like I was when this shade launched? If yes, there’s good news. 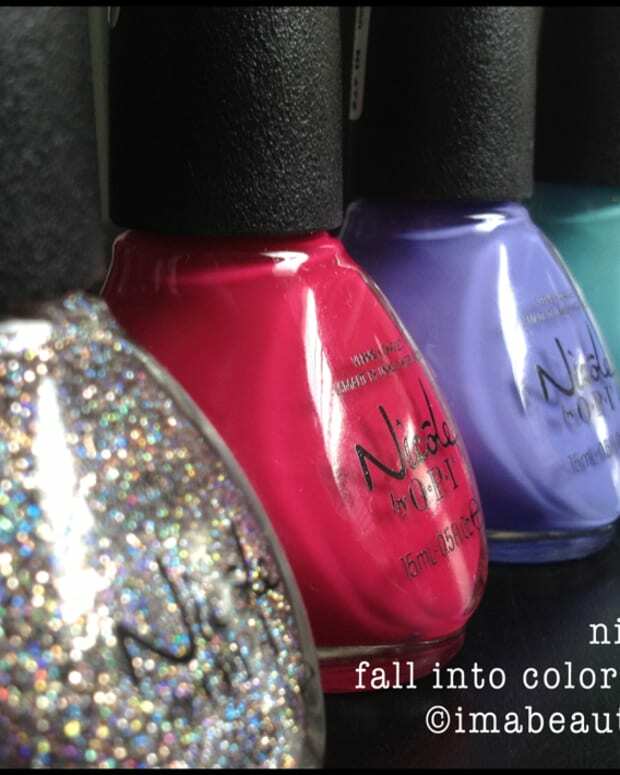 It’s still readily available in a bunch of places like www.kbshimmer.com, www.harlowandco.org, and as always, Amazon.com. Yay! Manicures/photographs Karen Falcon (Nick wants more of this polish so he can paint his bike with it). YSL #NOTD. YOU KNOW YOU WANNIT.